Generaytor is the world's solar community. With more solar panels being installed on rooftops worldwide than ever before as millions of families generate their own green electricity, the time is ripe to start connecting and join forces. 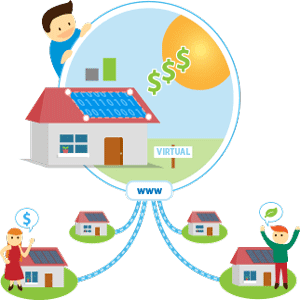 Their crowd-sourcing platform enables collaborative analysis by transparently collecting and integrating performance data from the systems in the on-line solar community. They aim to provide users with smart yet simple insights into your electricity production, and ultimately ways to optimize your solar return on investment. Beyond facts and figures, Generaytor transforms the technicalities of solar energy into a fun and dynamic social experience, celebrating achievements and fostering sharing, inspiring others to go solar.